By Eileen Casey & Emma Barone. The launch will take place at Birr Library on Saturday 18th December at 11 a.m. 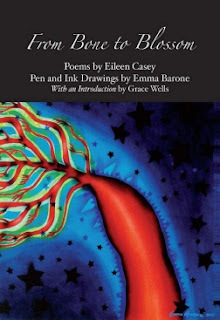 The publication will be launched by Artist & Writer Rosalind Fanning. I've only read your blog back as far as Christmas Returns. What was the novel you were writing? Did you finish? Why the incredible deadline? Fill us in. You left us all hanging here wondering if you were getting any sleep at all. Thanks for stopping by, and leaving a comment. I do love it when people drop me a line. Yeap got some sleep, even if my head was full of fictional characters. Novel not done yet, but doing my best to get first draft finished over the next couple of days. I set the target of writing a novel in 12 weeks, because Poolbeg Publishers are accepting submissions, but the deadline is the 17th DEC. Not sure what I'll end up with, but I reckon it will be about 100,000 more words than I started with at the end of September. I'll do a post when I come back into the real world!